My business experience in manufacturing, then technology, and finally in real estate gives me a unique perspective on the challenges that business faces in providing good jobs and benefits to employees. Having owned a company with a $2.5 million payroll I’m aware of the impact that tax policy has on take-home pay. As a volunteer leader of a REALTOR® association I have worked with individual and groups who have different viewpoints to achieve success from common goals. Yes and no. The increase in teacher pay is the FIRST step in beginning to fulfill a voter-mandated commitment to public education. It is only a partial solution that uses wishful thinking about future revenues without any real mechanism to ensure that by 2020 teacher pay starts to get close to US median pay. It also does not address the need for investment in pay increases for education staff. Funding must be increased to levels agreed upon and required by law. The first step is to get to pre-recession levels which are still inadequate. The second step is to provide a dedicated source of funding that is stable and long-term. While an increase in sales-tax (TPT) is regressive, it is the most doable now and one of several solutions. The roll back of corporate tax exemptions and credits must also be part of the solution. No. Two areas require more accountability. Academic performance and financial management. Charter schools use public tax dollars to run the schools. The state needs to do a better job of requiring regular financial reports and then auditing those reports to stop unplanned closings of charter schools. Charter schools must also return tax dollars used for capital improvements if they cease business, or return real property funded by tax dollars. I will support more school uniformed resource officers for schools. However, this raises serious funding issues. Where does this money come from? The state will have to fund at least part of some increase and provide guidance as to training of these individuals. Common-sense steps can be taken to "harden" schools without making them into prisons. Limited access from outside the campus. Better video monitor systems in hallways and common areas. I am not in favor of arming teachers which I believe could be dangerous for the teacher, first-responders, and potentially students and staff. Not currently. I would like to see the impact of legalization in California. Let’s get a couple more years of results before we make a decision here. I see no great need to rush into this. Because of recent court decisions, we need to get the medical marijuana laws clarified. No. The approach in Arizona of chipping away at women’s reproductive rights and choices is onerous at best, and rather disgraceful. The majority party continues to restrict access to abortion which must be stopped. I’m particularly concerned that the majority party will be embolden based on changes to the makeup of the U.S. Supreme Court. The state needs to speak with one voice on water rights. Currently, little attention in Phoenix is given to rural counties such as Greenlee, Graham and Cochise, the focus is on CAP and Maricopa county. All of the state’s stakeholders, utilities, business, ranchers and farmers, military commands, builders, environmentalists, and the public, need to be at one table to create a long term plan of conservation, smart growth, reclamation and new ideas such as the use of gray water. Yes. Three is no reason not to extend anti-discrimination protections to LGBT community. This is the right thing to do. It also makes good sense economically. States that refuse to extend anti-discrimination protection will not attract future employers that will bring good jobs; will not attract young people to the state who value diversity and inclusion. It is particularly discouraging that such legislation cannot even get a hearing in either chamber of the legislature. We need to show the rest of the country that Arizona is inclusive. No. I respect other people’s religious beliefs, but this is about conduct, not free speech as has been indicated by a recent state case. If you are a public business, you should be willing to provide your services to all that seek your services. Investing in public school education that prepares students for future success is the single best way to create a growing economy in Arizona. Employers know that employees want great public schools for their children. The state must also invest in upgrading our outdated and inadequate infrastructure. We cannot get businesses to expand or come to Arizona when our roads, electric grid, data grid are not competitive with other states. I’m a no vote on 305 which means I am not in favor of expanding Empowerment Scholarship Accounts. Local sheriffs play a crucial role in overall border protection along the southern border. The state needs to allocate additional funds for expanded communication infrastructure for law enforcement as well as push our congressional delegation to get more funds to local border law enforcement. I cannot really comment on this because the only knowledge I have is what I have read in the press. It seems to me that the Legislature is taking issue seriously. If elected, I would work to continue to make sure that standards of conduct and behavior by members are clearly stated and enforced. There is a critical need to make the budget process more bipartisan and more transparent. The minority party needs to be brought into the process as a real partner as well as providing more transparency to the process. By doing this the public will have a better understanding of the difficult decisions made during the budget process and are more likely to support the outcome. We must stop bringing the budget to a vote the last few days of the session. I will work with any member of either party who will support reform of the budget process. The hostility of the current state government to public school education is the greatest threat to Arizona’s future. The state government must actively support a long-term master plan for public education in Arizona. Instead of a vision of support, the current legislature continually attempts to erode the funding for public school education, attack academic rigor and science, and inserts its authority over school boards rather than allow for innovation. If Arizona remains near the bottom in all measures of education achievement and support, the state will not be prepared for an economy that will bring prosperity to all its citizens. Yes the state should accept the $56 million. There was no good reason not to accept federal funding, this shows the Republican majority’s hostility to any program that supports healthcare regardless if it is for adults or children. The money was already available, not authorizing acceptance of the money was more than just an oversight. 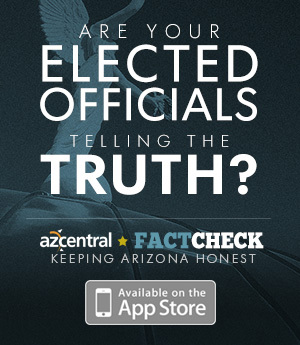 It calls into question the ability of state legislators to put aside political concerns when making decisions about what is best of the people of Arizona. The key here is to keep children out of “the system” or foster care in any way that is humane and possible. The important word in the question was “removed” from their parent’s home. In the long run it will cost the state less to provide the funds for families to take in related children. It is likely the outcome will be better, that children will be less traumatized, and they can return to the parents sooner. The $45 seems more like a judgment by the state that the relatives should be “punished” for the behavior of a family member. I support adequate payment to family members who will take in a child. Family Widow, four children, seven grandchildren. Arizona is only as strong as its weakest link. If rural communities are weak it leaves Arizona susceptible to weakness. As a legislator for rural Arizona my focus and goal are to see rural economies strong and sustainable. I supported putting permanent dollars into education and we did. It is the school districts that decide on teacher's pay and their rate of pay. We are right at pre-recession levels. The Trump administration has worked hard to improve the national economy and with that Arizona's economy is growing strong and stable. Arizona is well able to handle next year's budget. Charter schools are contracted with the State to provide education with specific outcomes. Results of those outcomes are measured through the A-F system that extends to public district schools also. Alternative, small, and online schools are in the process of being measured in a separate system through the Arizona Department of Education. We need to plug the loopholes that have allowed people to obtain guns that should not have them. The system has been flawed and those issues are being worked out. We need to focus on making our school buildings safe and increase firearm safety. Number one priority must be to make school buildings and school grounds safe! Top priority would be to support law enforcement in their advisory of safety measures in every school building and on their school grounds in Arizona. Our focus must also be on the welfare of the students. To that point, I have introduced and am working with the Governor’s office to bring in programs such as the Intergrative Youth Development™ to Arizona focusing on supporting our children and youth to see them succeed. Wouldn’t it be wonderful not to have to pay any tax at all? Think of all those extra dollars we could put in our pocket! However, we may not have any roads or law enforcement or school system or military. So, taxes are necessary. It is the abuse of them that becomes a problem. No. Marijuana is labeled a drug first and foremost. Drugs are illegal outside of doctor’s prescriptions. We are in an opioid crisis and studies have shown that Marijuana leads to opioid use. Yes. People need to know they have options and what those options are. We have been discussing and working toward diversifying our electric portfolio for years. How much more should we be working to diversify our water portfolio? Arizona has pockets of brackish water throughout the State that could be turned into potable water resources through desalination. Desalination is an excellent addition to our water portfolio and we should be aggressively pursuing how to expand this in Arizona. It is people’s private business how they choose to see themselves. It is not the responsibility of the public to cater to how every individual sees themselves. A business owner should have the right to decide who they want to do business with. No one should be forced to conduct business with a specific entity or individual. Attracting companies that provide high paying jobs will have a ripple effect of growing other businesses that perhaps do not pay as much but create a good income base. Essential to either is a workforce that has the skill set to match these jobs. Helping to improve the quality of education students receive will have its own ripple effect of attracting business. Arizona requires all children be provided an education and that requires funding for all students. Any education outside of public education can be construed as private school -- such as the very private education of home schooling. Parents need choices in the best methods to educate their child. Vouchers are illegal in Arizona, but I support the Empowerment Scholarship Accounts known as ESAs. Increase border security with law enforcement, military, and/or by measures that will secure the safety of U.S. citizens. Demand Congressional members to aggressively work toward a quick solution to legal immigration. Human beings are driven by the choices we make on a daily and moment by moment basis. No matter the amount of precautions, someone will fail at some point in time. The Legislature has put out precautions. It is up to the Legislators to follow them. "True Rural" economies. I am working with local economic development groups to identify and catalog their inventory of assets. After discussing this idea and the need to house these catalogs with the AZ Commerce Authority they have created an interactive map where these communities can post their assets. This enables site selectors to see a full picture of the assets of Arizona and giving them options outside the Phoenix / Tucson corridor. Helping make all of Arizona stronger. Water! If the conversation is that Arizona does not have water how does that work for the future of Arizona, property values, and other investments? Diversify our water portfolio by pursuing desalination. We needed to take time to look at the details on this. This coming session the State will work to identify our position and responsibilities while working to weigh opportunities and risks. It is the hope that family members will embrace the opportunity to help other family members when issues and crisis happen. Studies show that families taking such responsibility help those children reach much higher positive outcomes. If families take on that responsibility and want to receive higher financial assistance they might consider becoming licensed. When a family caregiver is unlicensed they receive less because those dollars come from the State’s general fund with no matching federal dollars. When a family caregiver is licensed then the federal dollars are available, they then become eligible to receive the higher amount.